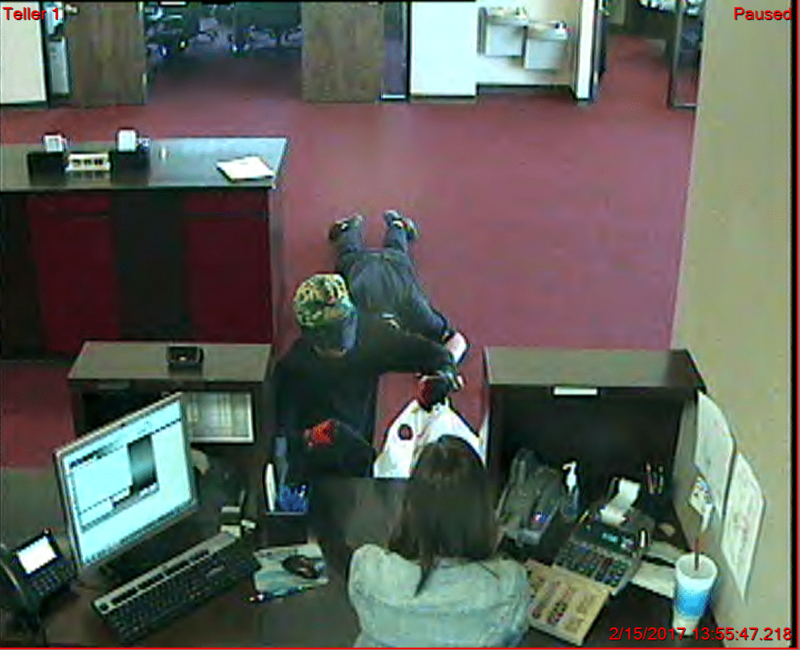 Bossier Sheriff’s Office detectives are looking for a man who robbed at gunpoint a credit union in Bossier City Wednesday afternoon. A man walked into the Bossier Federal Credit Union on the corner of Airline Dr. and Wemple Rd. in Bossier City around 1:55 Wednesday afternoon, brandished a handgun, demanded money and then took off on foot with an undisclosed amount of money. There was a customer in the bank at the time. Although shaken up, neither the customer nor the credit union employees were injured. The man is believed to be around 5 feet tall, slender build and unknown race. He was wearing black pants, black long-sleeved shirt, orange/red gloves, white shoes and a yellow/green beanie hat and was carrying an orange and black backpack. Bossier patrol deputies and detectives are canvassing the area, and detectives believe he went to a nearby staged vehicle and left the area. If anyone has any information about this case, contact the Bossier Sheriff’s Office at (318) 965-2203.